Engineers, scientists, and other workers operating in these environments wear specially designed cleanroom “bunny suits” and booties over their street clothes, as well as gloves and face masks to avoid any contamination that may be imparted from the outside world. Even normal paper is not allowed in cleanrooms—only cleanroom low particulate paper is permitted. It goes without saying that these spaces are very sensitive environments in where precision work, like the production of silicon chips or hard disk drives, is best performed. Why do cleanrooms need to monitor air pressure? Often in cleanrooms, positive air pressure is used to force particles outside of the isolated area. 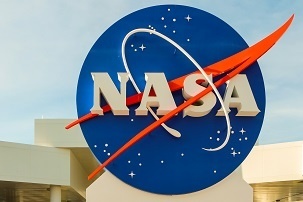 The air pressure in NASA cleanrooms is monitored using high-accuracy, low-differential pressure transducers that require periodic calibration. Calibration of the transducers can be a somewhat tricky endeavor. In prior years, the analysis was performed by sending the transducers to the Kennedy Standards Laboratory, where a very expensive cross-floated, labor intensive, dead-weight test was conducted. In the early 1990s, scientists at NASA determined to develop a technique and test equipment to perform qualification testing on new low-differential pressure transducers in an accurate, cost-effective manner on site, without requiring an environmentally controlled room. They decided to use the highly accurate, cost-effective Setra Model 264 differential pressure transducer for their testing. For qualification testing of the Setra 264, though, a portable and lower cost calibrator was needed that could control the differential pressure to a high degree of resolution and transfer the accuracy of the Standards Laboratory into the qualification testing. The researchers decided that to generate the low-differential pressure setpoints needed for qualification testing, very small gas volume changes could be made against the test article, and a corresponding pressure change would be detected by a pressure standard. This allowed the researchers to recreate cleanroom air pressure settings without the use of a cleanroom. By 1995, the prototype was perfected into the unit that is still used today, the MicroCal. 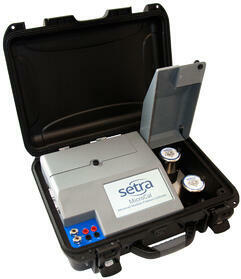 Want to learn more about the Setra MicroCal? 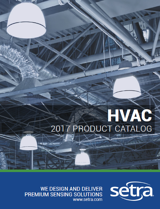 Take a look through our digital brochure.